The STM Universe doesn’t just contain Sims 2 neighborhoods, but also some of the Sims 3 Worlds. In STM 2.04, the incumbent Leader of the Free World in 2014 is revealed to be Waylon Wolff, who is in late middle-age. He was a teenager in Sims 3 neighborhood Moonlight Falls, which is set in 1970 in my Universe. In the first draft of my STM scripts for 2.04, 2.05A & 2.05B, the Two Men were originally set as the sons of two Moonlight Falls natives: Unborn Baby Macduff and Gladsten Farmwell’s illegitimate son (from my own gameplay). But with the amount of screen time that had to be given to the investigation at Specter’s Yard, I decided that characters who get so much screen time must have a greater significance in the story, beyond the investigation alone. Since they are scientists / investigators, I decided that they should also be on the Secret Project — which was initially SO secret that the audience will never get to know who else is on it, aside from Vidcund Curious and Kent Capp. In 2.04, the audience has to hear the Two Men discussing Kent and the Veronaville Device, to establish that they are NOT omniscient, since they are not Watchers, despite their potent resemblance to Dr Hyde. They are just intelligent and competent gentlemen, whose task is to interpret the situations and evidence they encounter. It is a happy coincidence that several of the Team Names from my favorite Racing Game, Grand Tour Racing 98 (1997) have equivalent premade families in the Sims 3 (2009). 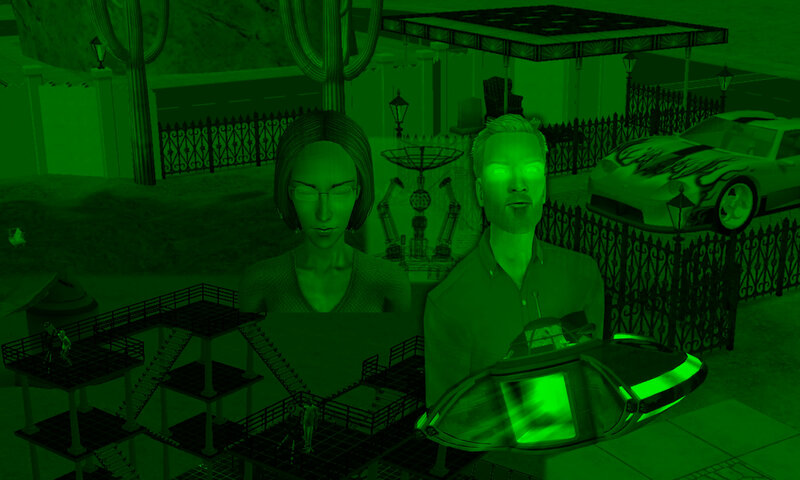 As the cars are anthropomorphic, it wasn’t a difficult decision to create them as sims, therefore allowing them to cross Game Universes – like what Bianca Monty wanted to do in STM 1.10 to get herself a “new” Kent. While several fans wondered why my cars have the same names as these premade families, I thought the reverse: why these Sims 3 premade families had the same names as my cars. Sims fans don’t even have to watch my Racing videos to observe that three names appear the most in the video *titles* – Xu, Ivanov and Baptiste. I knew the Racing Men as car characters before any simmer even heard of the Goth family (Sims 1, 2000), but I chose to give the Racing Men possible Sims fanon backgrounds, as the likely descendants of Sims 3 canonical families, to somehow “root” them in the Sims world. 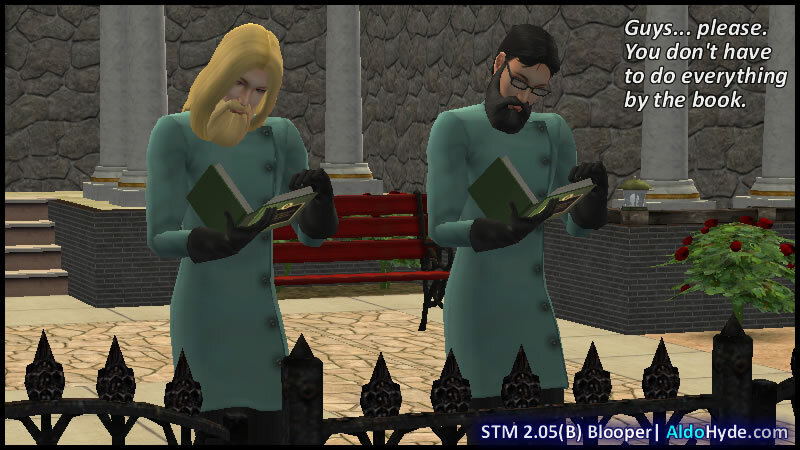 To date, “Ahmed” and “Rossi” have also appeared as premades in Sims 3 neighborhoods Barnacle Bay and Monte Vista respectively. “Ahmed Barbarossa” of Barnacle Bay can even be seen as a hybrid of Ahmed and Rossi. But the author doesn’t like these two cars as much as his Top Three. This has more to do with car statistics favoring the author’s driving style, instead of nationality or ethnicity. In PVCS vs STM 2035 Chapter 8A, ALL 8 “Canonical” Racing Men appeared as crowd control officials / referees in the stadium, to oversee the (planned) post-match drama between the two teams and several audience members. During the match, all of them were referees overseeing various aspects of the match. In STM 2.06(B), Sepp Rossi appeared as Mayor Rossi’s son from Monte Vista, who knew Bianca and Antonio Monty when they were toddlers. In 2.08(B), Lumiere, Roberts and Ahmed appeared in the Robotics Lab in Hyde Dynamic Strangetown. In my Sims 3 Riverview, Dmitri Ivanov married young and had a son named Timur Ivanov — who looked totally like his CAS blond mother. But the “Dr Ivanov” I need in STM has to be a scientist, which is a bad fit with the Riverview Ivanovs’ family culture — young Timur’s grandfather (Yuri) and aunt (Tatiana) have the Technophobe trait. Or Dmitri’s older sister, Tatiana Ivanov(a), who is more likely to have children of Timur’s age, could have had a son out of wedlock: a blond, scientifically-inclined young man — a great success at school, but a great disappointment to her — much like how the Capps are disappointed with Kent. The only aspect in which Timur resembles the Riverview Ivanovs is in his musical aptitude, as his long flowing hair is grown out of his love of heavy rock and metal. While everyone should be free to be different from their families, I decided that my final STM version of Dr Trent Timur Ivanov should have an unclear relationship with the Riverview Ivanov family. Trent’s “English name” is deliberately chosen to rhyme with Kent‘s, as Ivanov and Xu are meant to be character doubles for the other half of the Secret Project Team, Kent Capp and Vidcund Curious. Their English names also reflect their assimilation into an English-speaking culture that neither of them is native to. But they use their “ethnic” names when speaking in Russian or Chinese. Dr Duncan Hanqiang Xu could possibly be the illegitimate son of the extremely hirsute and muscular Gladsten Farmwell, a Sims 3 Moonlight Falls native – conceived by Ms. Xu, a Shang Simla local, when Farmwell went on World Adventures – which accounts for their physical resemblance, and Duncan’s above-average physical stamina. Or Duncan could also be full Chinese, somehow descended from Sims 3 Bridgeport’s Jun Xu. While Mr Farmwell appears to be a more likely ancestor, I prefer to leave Duncan’s exact lineage ambiguous. Duncan’s “English name” rhymes with Vidcund‘s, for the same reason above. While I do not have the Sims 3 Island Paradise expansion pack, I was pleased to find the premade Javiera Batista in Isla Paradiso. She is a scientist, comes from a similar part of the Sim world as Sims 2 Twikkii Island, and has a similar olive-brown complexion to Dr Walter Baptiste. The surname and genetics may be slightly different, as I modified an African-American face template for Walter. His red hair is a reference to his original identity as a Red Car. If Isla Paradiso is set in the late 1970s to early 1980s, Javiera is of the right age to be Walter’s mother, though I think of them as simply “relatives”. The eight “cars” cannot die (except of Old Age), even if they fell off the mountain in Champs Les Sims, or into lava in Twikkii Island. Going “Out” only affects their status for that particular race, as all eight teams always respawn perfectly (no damage) in the next race. That’s why Hyde dares to send the Two Men to 13 Dead End Lane, of all places… there is no amount of aggressive abuse they cannot withstand. But in Sim form, it makes more sense to expect Hyde to use friendly interactions with them.